If you want to retrace the steps of Percy Jackson and his Olympian adventures across Athens and Cape Sounio, this is your chance! Begin your journey to the ancient world with a tour of the majestic Acropolis and learn the significance of the sacred rock as well as the myths and legends it holds. See the real place where Percy confronted Gaea and continue on to the 21st-century class Acropolis Museum. Take a scenic drive from Athens along the coast to Cape Sounio, where the Temple of Poseidon lies, home to Percy Jackson’s father, the god of the Sea. My 8 year old son and I thoroughly enjoyed our Percy Jackson tour of the acropolis and afternoon tour to Sounion to see the Temple of Poseidon. Our tour guide, Mary-Helena was excellent. Very knowledgeable about the history, archeology, Greek mythology and of course Percy Jackson. She was very kind and patient with my son. The tour was well organized at every step. Highly recommend! According to Percy Jackson, the Parthenon is “the most ancient temple to the gods, in the middle of Athens”. Now, it’s your time to walk up the sacred hill and be swept off your feet by the imposing Acropolis monuments! Retrace the steps of Athena’s -Annabeth’s mother- and Poseidon’s -Percy’s father- competition as described in the Greek mythology, while having our expert guide narrate all the tales and myths related to the Acropolis, amazing your little ones with fun facts. Acropolis Museum comes next in your Percy-Jackson experience! Your kids are going to love the Acropolis Museum with the help of our licensed family guide, who will keep them engaged in intriguing storytelling about the museum’s exhibits. 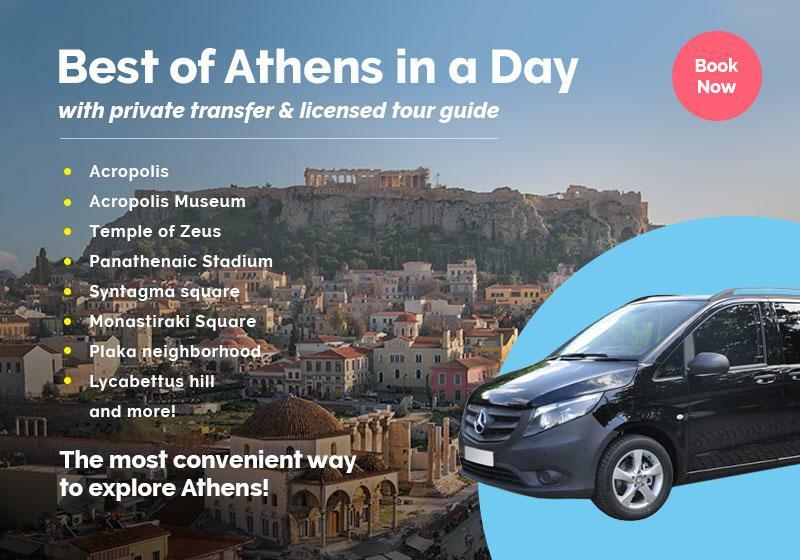 From there, you will take a scenic drive along the Athenian Riviera to Cape Sounio, in the comfort of your private luxury vehicle. During summer months, stop en route to the beach just below the temple of Poseidon and take a dive in the refreshing waters of the Aegean Sea. In winter, however, you will visit the Stavros Niarchos Foundation Cultural Center for an hour and explore the award-winning Mediterranean Garden of the Cultural Center, the National Library of Greece and the impressive National Opera House. When you reach Cape Sounio, marvel at the Temple of Poseidon, home to Percy Jackson’s father Poseidon, the god of the Sea. You will learn about how Percy’s unpredictable personality has taken after his father, resembling his kingdom, the sea. This mythical adventure is sure to be the highlight of your time in Greece! If you want to enhance your family experience, indulge in a luscious dinner at a local seafood tavern. Get in touch with us for more details. To explore the history of Cape Sounio & the Temple of Poseidon, we will send you a detailed material including all necessary info for your visit, which you can read on route or on site. If, however, you wish to book a private guided tour in the archaeological site, you can always do so at an extra cost. Please fill in the ‘Customize tour’ form above & we’ll get back to you shortly. No. The costs include a full-day exerience involving a visit to the Acropolis, the Acropolis museum and Cape Sounio!